The rotogravure is a form printing process referred to as intaglio printing process .This process involves engraving an image into an image carrier. The process uses rotary printing press where the image to be printed is engraved onto a cylinder. This process is used for commercial printing of magazines, cardboards aluminum, foil paper and also in product packaging. From the above definition of rotogravure printing, we can define the rotogravure printing machine as the machine used in the printing process described above. The modern machine uses a printing cylinder with tiny cells that have been engraved on it. The cells have the ability to retain ink, the pattern and the size that finally reflect the final image of the product. High speed rotogravure printing machine: This is a fast speed kind of printing machine. 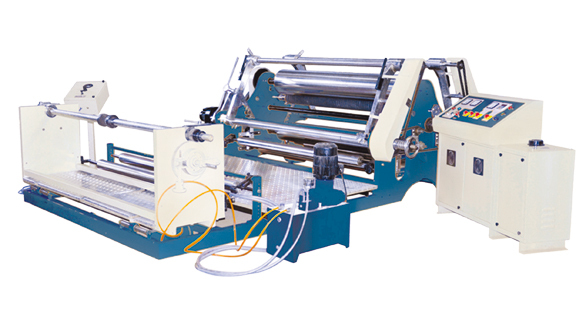 The bigger number of rotogravure machines print rolls as opposed to sheets of paper. The machine is the fastest in speed and also the widest in the printing industry. For the maximum level of efficiency, this machine operate at high speeds producing very big diameters and wide rolls. The printing process is also applied in manufacture of wall covers and transfer printing. The process has further applications in the security printing, the tobacco sector and generally used the industrial sector. · The rotogravure printing machine is characterized by a single printing unit for each color mostly Cyan, Magenta, Yellow, and Key which is the common printing reference of the color black. The number of units however mainly depends on the color you wish for the final image. · The rotogravure printing machine allowed the ability to transfer ink consistently over a big range of densities at high speeds. This makes it suitable for applications that need high quality images, for example packaging, publishing and decorative printing. · Long service life: The machine can print cylinders that are long lasting. They last even through large volume runs without the risk of them getting worn out. · Another characteristic feature of the machine is its low per unit costs running especially in cases with high volume production. · In printing magazines that are long run and exceed over a million copies. · The mail order catalogs also use this printing machine. · In furniture making where quality and consistence is privy the printing machine is used to print wallpapers and laminates. · Newspaper adds inserts, also frequently use this printing machine. The rotogravure printing machine is well designed to produce high quality images. The cells in the cylinder that allow consistent flow of ink and the engraving of the image on the cylinder all contribute to the high quality of the final images produced by this machine. The printing technique used by the machine is used in the manufacturing and the industrial sectors on large scale. It is therefore among the best printing machines that can be used for high volume production of quality products and images..